As wide as the lands of Tamriel are, as much variety you will find in the kitchens throughout the land. No matter if Nords, Bosmer, Khajit and beyond, you will find plenty of recipes for all tastes. 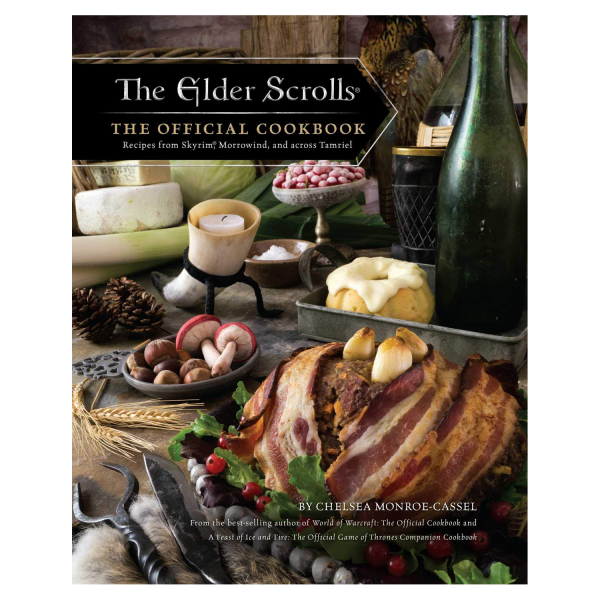 This official cookbook comes in a hardcover and offers more than 60 different recipies inspired by the world of "The Elder Scrolls" on 192 pages. Manufactured by Titan Books.